Once set free in a new environment, non-native piscivores, or animals that eat fish, can wreak havoc on native fish populations. 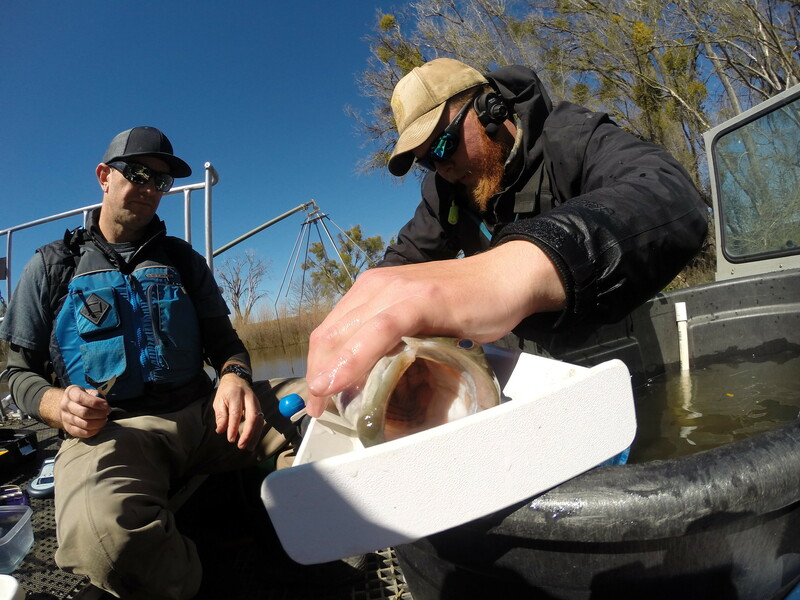 In the Colorado River Basin, such non-native piscivores are driving the Utah Division of Wildlife Resources to step up their existing predator removal program on the Green River. Recently introduced fishing laws now require anglers to kill any burbot, northern pike, smallmouth bass, or walleye caught on the Green River or any of its tributaries from Flaming Gorge Dam to the Colorado River. This push to exterminate predatory fish exists because native fishes can be extremely vulnerable to these invaders, as they often lack defenses against foreign piscivores. In fact, over the past century, more than 40 North American fish species have gone extinct, with introduced species contributing to nearly two thirds of these losses (Miller et al. 1989). 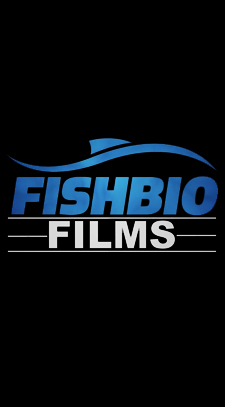 To make matters worse, many of the non-native fishes that have been purposefully stocked into Western United States waterways for sport fishing were specifically selected for their voracious predatory behavior. After more than a century of such stocking, we are discovering these aliens likely contribute significantly to the decline of native fish populations, along with other factors such as human alteration of fish habitats and river flows, and warming waters due to climate change. 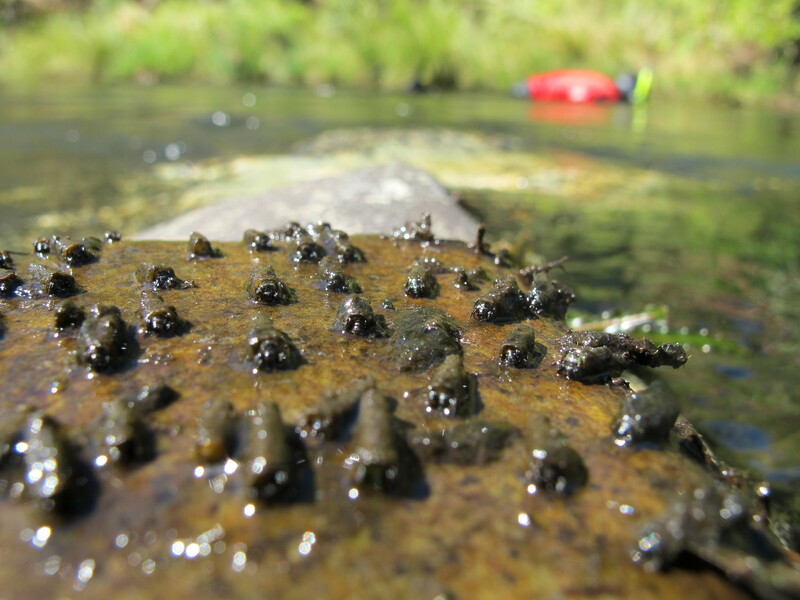 Although long-term predator control programs successfully manage piscivores in some Western U.S. river systems, protecting prey species comes with many challenges, especially in large, complex waterways. Some scientists argue that removing one invasive piscivore may cause shifts in the entire fish community, with unpredictable effects on protected fish species. Finding the most effective way to control predators can also take years of trial and error, and will depend on characteristics of the predators, prey, and their aquatic environment. Additionally, quantifying how predator control actually benefits native species is challenging, although monitoring predator diet and protected species populations can provide some estimates. Despite these challenges, it’s clear that native and/or non-native piscivorous fishes pose serious roadblocks to restoring diminished fish species in the Columbia (Williams 2014), Colorado (Franssen et al. 2014) and Sacramento-San Joaquin River systems (Nobriga and Feyrer 2007; Lindley et al 2003). As a result, long-term predator control programs are in effect in the Columbia and Colorado; however, none exist in the Sacramento-San Joaquin system. Predator control has been in full swing in the Colorado River basin since the early 1990s. Several native fish species in the Upper Colorado River Basin, such as humpback chub, Colorado pikeminnow, razorback sucker and bonytail, have been listed as endangered since the 1990s because of extremely low abundances. Local fisheries managers consider control of non-native piscivores as the biggest obstacle to the recovery of these endangered species. This is not surprising considering the long list of non-native predators in the basin, including rainbow trout, brown trout, black bullhead, red shiner, fathead minnow, common carp, channel catfish, smallmouth bass and northern pike. Despite the difficulties of controlling this large range of non-native predators throughout the vast Colorado River Basin, which spans Colorado, Utah, Wyoming, and New Mexico, some successes have been achieved. 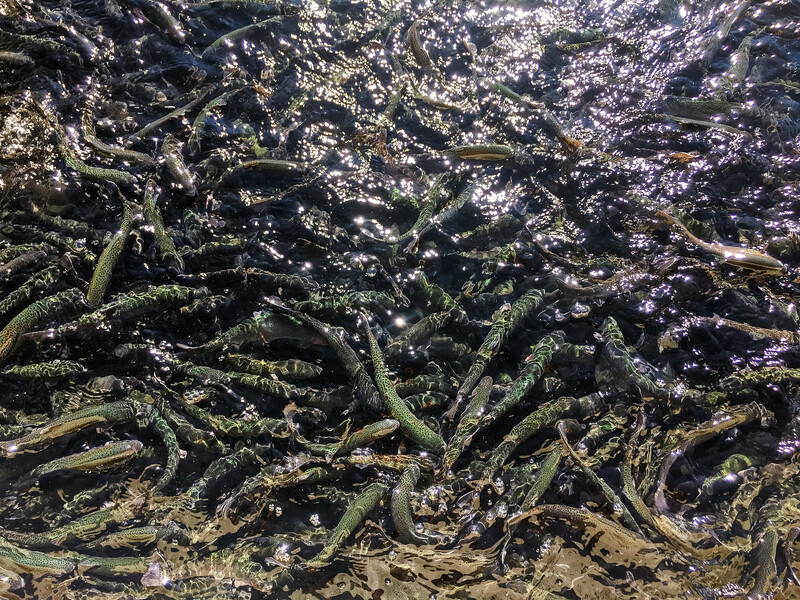 On the San Juan River, which flows from the Colorado River through Utah and into New Mexico, common carp suppression has been extremely successful, and channel catfish populations are successfully controlled in specific reaches of the tributary (Franssen et al. 2014). On the Yampa River, a tributary of the Green River located in Colorado, removal of the aggressive and stealthy northern pike has been ongoing since 1999. Unfortunately, pike recruitment and immigration rates continue to exceed removal rates (Zelasko et al. 2015), prompting the new Green River fishing laws aimed to involve anglers in the removal of this voracious predator. 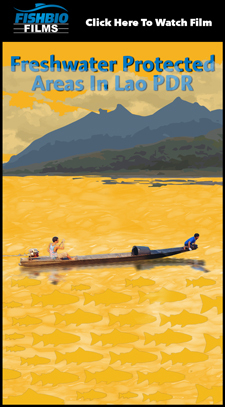 On the Columbia and Snake Rivers, the successful Northern Pikeminnow Predator Control Program (NPPCP) targets a native piscivorous species. This native predator has become too efficient now due to the altered aquatic environment increasing the vulnerability of native prey. In fact, in the 1990s, the northern pikeminnow was estimated to consume up to one fifth of out-migrating juvenile salmon (Beamesderfer et al. 1996). 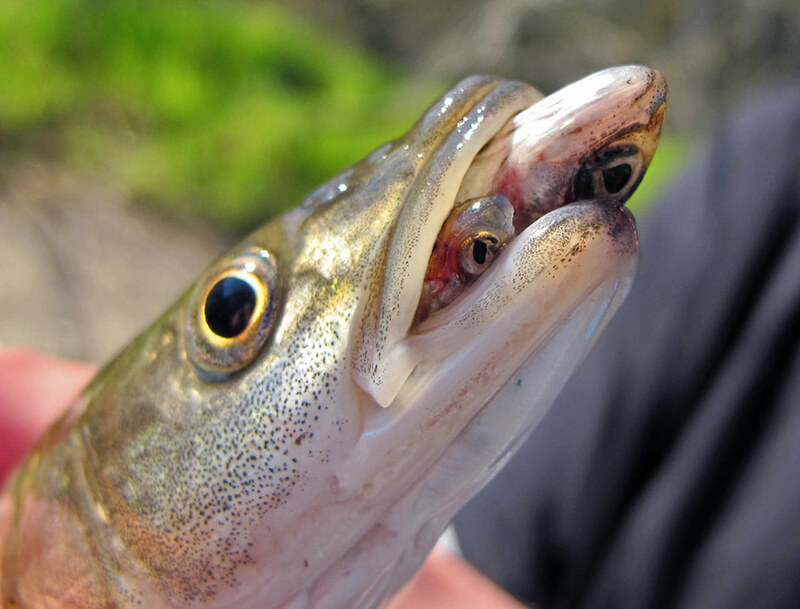 NPPCP removal efforts focus on an angler reward program (the Northern Pikeminnow Sport-Reward Fishery), in which anglers receive $4 to $8 for each pikeminnow they catch and kill. Initiated in 1991, the NPPCP has achieved its goal of removing 10-20% of piscivorous northern pikeminnow annually since 1997 (Williams 2014). Historical monitoring and modeling predict these removal rates could cut predation on juvenile out-migrating salmon by up to half (Williams 2014). 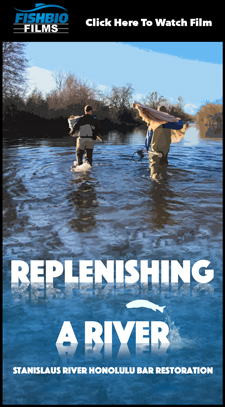 As the Columbia River is the site of the world’s largest salmon restoration effort within a single river basin, it is not possible to distinguish the extent to which this program has benefited salmon compared to other restoration efforts. However, in 2011, the increased survival of juvenile salmon passing the Dalles Dam of the Columbia River was attributed to predator control in conjunction with other restoration efforts. 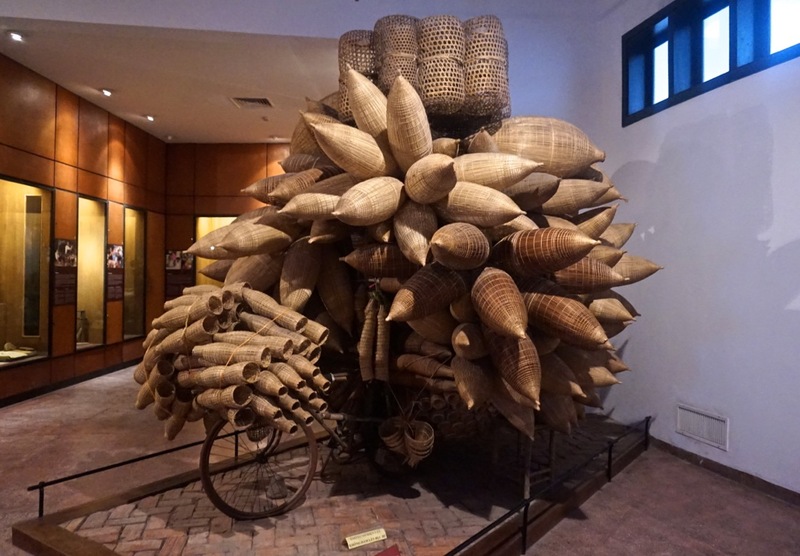 The annual $3 million budget of the popular NPPCP Sport-Reward Fishery is arguably more cost-effective than other predator removal strategies (such as gill netting, seining, long lining, or trap netting). The estimated $2.9 million spent per year to achieve a one percent increase in juvenile salmon survival from 1991–1996 is also comparable to the costs of other restoration or passage improvement actions (Radtke et al. 2004). Furthermore, yearly regional economic impacts of the predator control effort are estimated at $2.1 million. 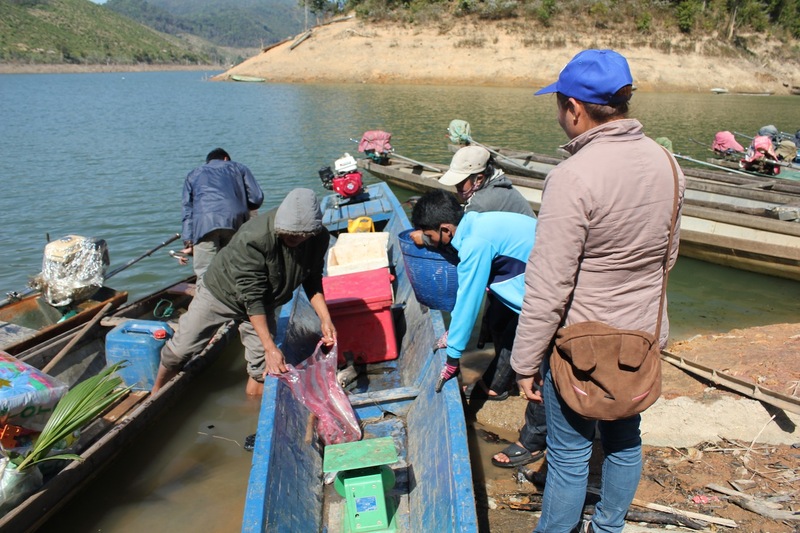 These economic benefits, as well as the direct involvement of anglers in removal efforts, have made this successful predator removal program popular with the public. We will be watching for similar successes on the Columbia River and the results of the Utah Division of Wildlife’s new aggressive fishing laws in the Green River, in hopes they achieve better management of destructive piscivorous species. In an upcoming Fish Report, we will discuss the contentious issue of predator removal in California, where all native Central Valley salmon populations are dwindling and introduced predators undoubtedly feed on juvenile salmon.